Bill and Carol: Broken & Exhausted Hearts. Please include my wife and I in the daily prayers of the Community in the days ahead..Nov..Christmas 2010,11...?? 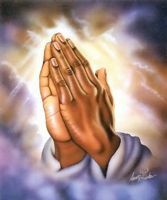 Please pray for God's Healing,Protecting Peace and Hope in our broken hearts,health and shattered lives!! Feel free to pass or e-mail our urgent prayer request on to the Sisters and Other Communities of Prayer that you know of in the Worldwide Community of Prayer. Thank you for praying for us in our long dark nightmare of the soul! Comments for Bill and Carol: Broken & Exhausted Hearts. Our Son'Death happened on my wife's Birthday,August 24th. a few years ago? So it is a painful reminder of great sorrow and the way the death happened?On top of all the Other Sorrows and Hardships we are enduring at present! PLEASE PRAY DAILY FOR GOD'S PEACE AND PASS ON TO OTHERS IN THE WORLDWIDE COMMUNITY OF PRAYER?URGENT! PLEASE PRAY FOR GOD'S PEACE IN OUR BROKEN HEARTS AND LIVES! !